Blue Ridge Community & Technical College has entered into an agreement with Barnes & Noble College to operate its first ever campus bookstore. The 5-year contract transferred management of the bookstore to Barnes & Noble on May 1. The bookstore will be located in the first building to be completed on the new main campus and, after renovations, will open in August 2012. Artist's rendering of the state-of-the -art building which will house the new bookstore. 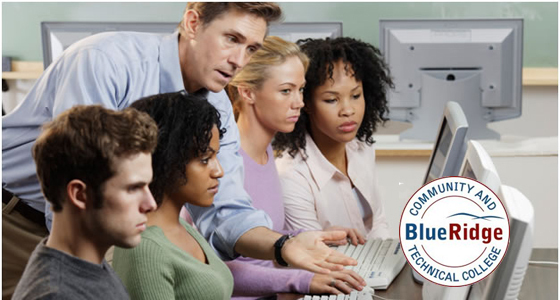 Blue Ridge Community and Technical College is a two-year institution located in Martinsburg, West Virginia. With an enrollment of close to 4,000 students, the school offers over 40 collegiate-level associate degree and certificate programs, and certification training in the liberal arts, business administration, and various allied health fields. In-store and online textbook rentals – For the first time, students will have the option of getting rentals either online or in the bookstore. Students opting for textbook rentals will save more than 50 percent over the cost of a new printed book and can pay for rental fees by using cash, checks, credit, or student financial aid. Rapidly expanding selection of eTextbooks – In addition to offering savings of up to 60 percent over new printed books, Barnes & Noble’s revolutionary and free Nook Study™ application serves up eTextbooks in an engaging format that enhances the overall learning experience. Generous cash-for-books program – Students with books faculty plan to reuse next semester will be eligible for a 50 percent cash payout, up to needed inventories. Registration Integration – A user-friendly Registration Integration system allows students to reserve and order textbooks immediately after they register for courses online, automatically populating carts with the right books for the right class and making the purchasing process more convenient than ever. The Blue Ridge Community & Technical College bookstore will have its own locally managed Facebook page and will also have access to FourSquare promotions and the student focused blog, The College Juice. Additionally, students will have access to the latest innovation in online shopping, known at social commerce, which allows students to shop for books, clothing, or school merchandise directly from the bookstores’ Facebook page. Blue Ridge Community & Technical College is one of 12 higher educational institutions that Barnes & Noble College operates in the state of West Virginia, including West Virginia University, West Liberty University and West Virginia Northern Community College.